An ancient city, still using Japanese paper. 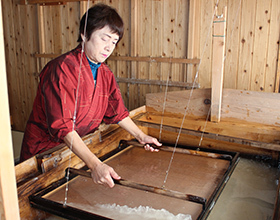 Experience the “soul” of Mino that has continued from the Edo Period to the present day. 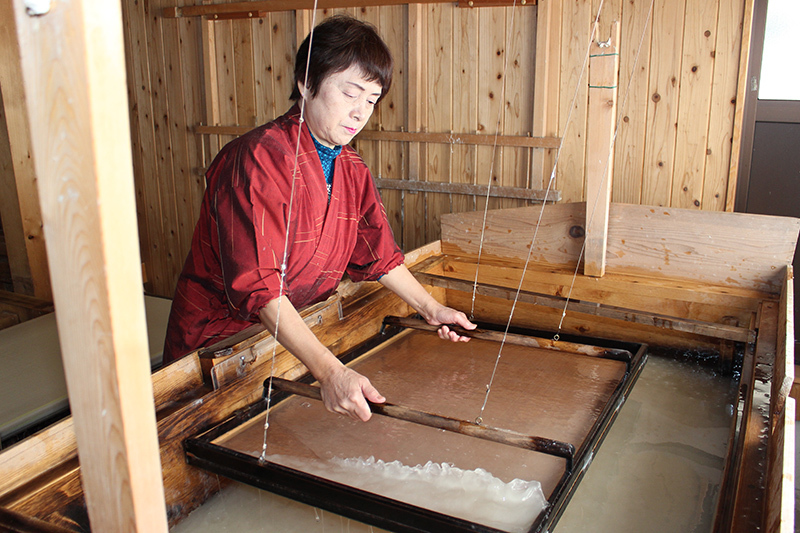 The city of Mino has earned a place in history as a center of Japanese paper (washi) production for 1,300 years. Blessed with superior materials for producing washi and the pristine water and water transportation provided by the Nagara River, even today “Mino washi” is known as a representative example of washi within Japan. The town's houses, which benefited from trading as washi wholesalers, have become one of the most popular tourism sites within the prefecture, and many visitors are drawn to the sight of “old streets lined with udatsu (roofed dividing walls).” These buildings have been carefully preserved as sake brewers, town archives and cafés, keeping even their original warm, welcoming spirit. Enjoy the history that the washi merchants and the paper-pressing tradesmen have preserved here among the natural surroundings of the clear Nagara River. Close your eyes… and enjoy a tale of old Edo. Here lies a harbor town on the Nagara River that was traversed by merchants during the Edo Period. The rows of buildings include wholesale merchants of Mino washi, guesthouses, and sake brewing merchants. …however, that is a tale of the long-gone Edo Period. The historical townscape that appears before your eyes during a visit to Mino remains unchanged since ancient times. 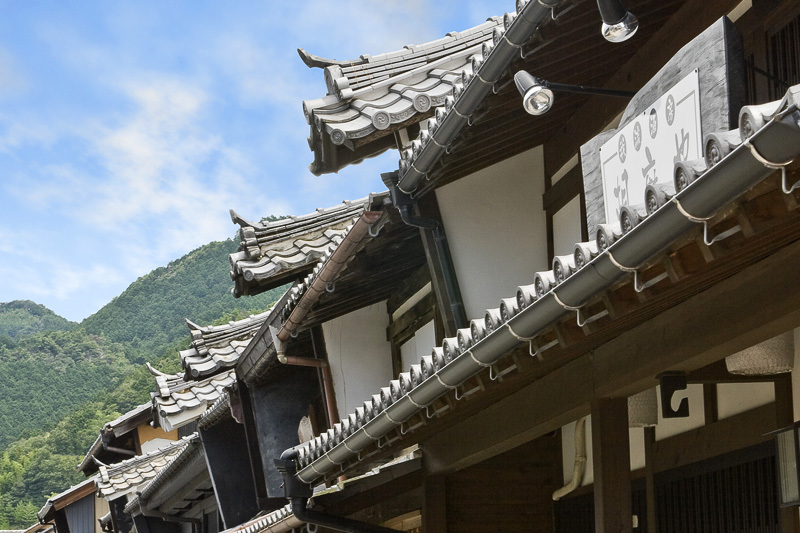 You are sure to discover much that is fascinating in the town of washi. Long ago, a washi industry based on the blessing of a clear river and superior natural materials formed the background of a thriving city. 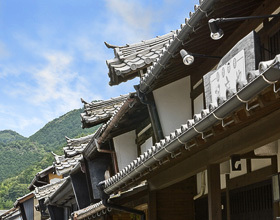 The city buildings were constructed by merchants who had grown wealthy thanks to washi. Around you, town houses with udatsu soaring above the roofs extend into the distance to create a stately and distinctive atmosphere. “Mino-Washi “Akari” Exhibition (October)” is a fantastic fusion of the udatsu tradition of rows of buildings with stylish candle art. 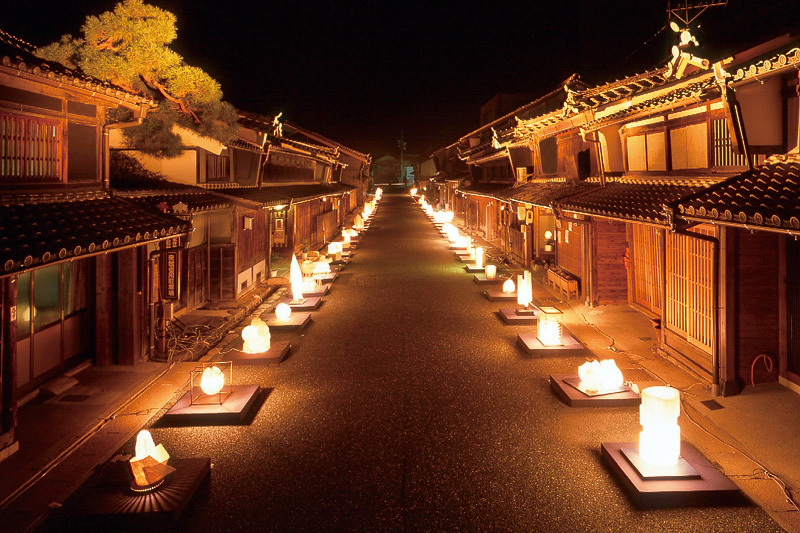 Why not stroll along the candle-lit rows of buildings? The four seasons express themselves distinctly in the rich natural environment of Mino. The colors of the mountains and the river are reflected in the sky during each of the seasons. 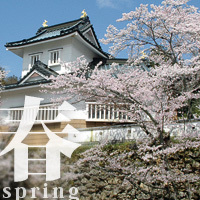 Famous places in Mino for cherry blossoms include Ogura Park and the ruins of the Maruyama kilns. The best time for viewing is during the early April. The someiyoshino cherries bloom slightly later, as well as the yamazakura. 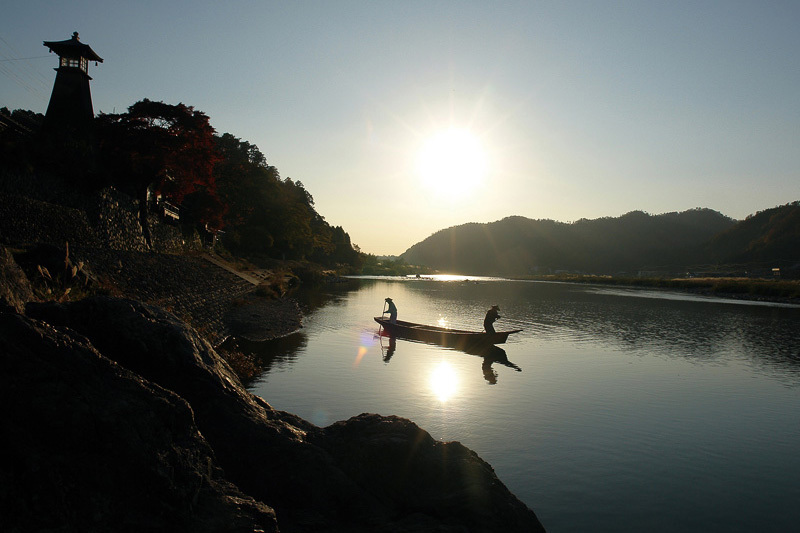 The clear currents of the Nagara River and the Itadori River are a source of pride in Mino. 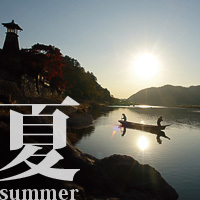 In summer, people gather on the rivers to enjoy fishing for sweetfish and playing in the water. 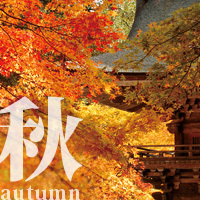 Oyada Shrine and Kataji Gorge are popular places for viewing the autumn leaves in the second half of November. During this period, Sodai persimmons, a famous agricultural product, are harvested. 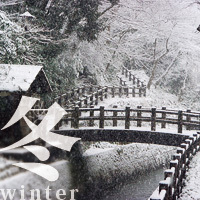 The snow that falls from time to time creates a tranquil atmosphere in the town of Mino. The scene created by a sprinkling of pure white snow engenders a feeling of Japan.